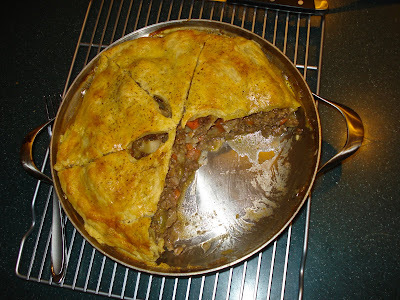 I keep a recipe binder with fun dinners that I have pulled out of magazines and, since the temperatures finally dipped below 80 last week, I brought out this one for Beef, Cheddar and Potato Pie. 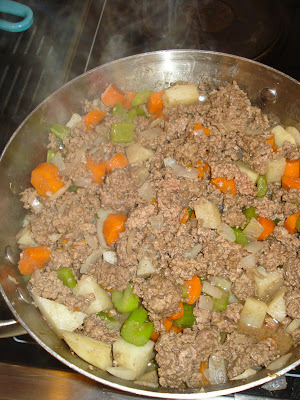 It's from the Rachel Ray magazine last November, but is also posted on her website now : ) The dinner is great for making ahead and oh-so cozy. 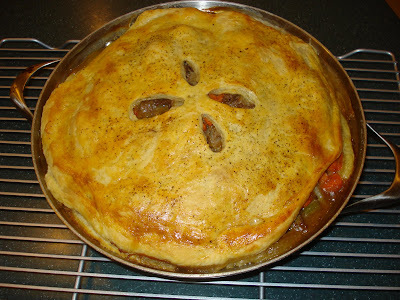 I'd also advise to use less than the 2 pounds of beef that's advised - 2 pounds ended up making a really full pie. With less beef, the meat-to-vegetable ratio would be closer as well which is always a good thing (especially when you're talking pie for dinner).